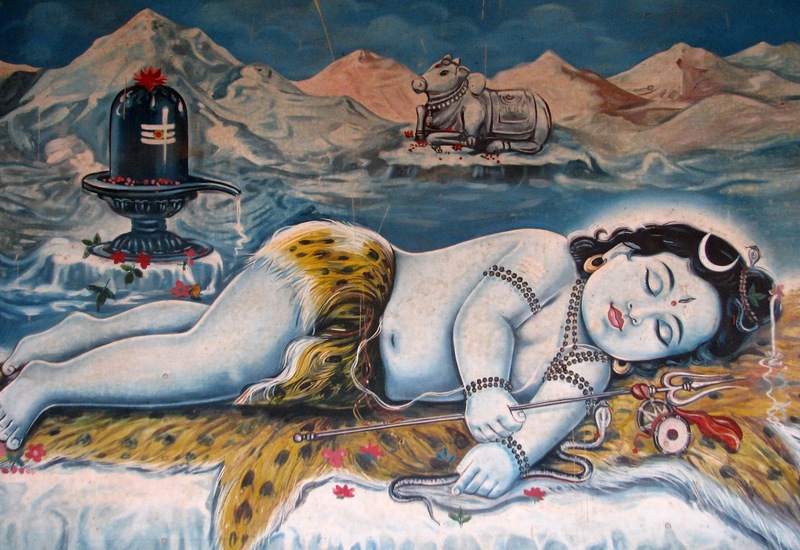 This picture of the little Shiva is very reassuring, it is in a temple of Shiva in my beloved Cochin in Kerala, wonderful State of south India. He’s a baby Shiva, but he has all attributes of great god which I’ve described in another post. The little boy is sleeping serenely on a leopard leather, in his right hand he is grasping trishula of the top of that there is the little dram damaru from which primordial syllable AUM was born and it is made by union of two triangles, female and male aspects, Shakti and Purusha, yoni and lingam. In left hand of little Shiva the is a little cobra. There are a crescent of moon on his head, another small cobra and Ganga water springing from his hair. In the middle of his forehead there is the third eye and he has a japamala (rosary or prayer beads) around his neck. I like the context of this picture too. In the background Himalaya rises majestically, that is the abode of Shiva. There is the vahana, the vehicle of Shiva: the white bull, Nandi. 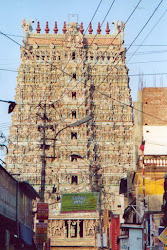 On lift side there is the mystic symbol of Shiva, the lingam-yoni, the union between male and female principles living inside the God and from which the universe was born. On the top of lingam, there is padma, the lotus.